when using a spear while affected by frenzy. Also he will receive -15% P. Attack while spear is equipped. when using a spear while affected by guts. Also he will receive -15% P. Defense while spear is equipped. ↪ Character will receive -15% zealot's bonuses when using a spear while affected by zealot. automatically on the attacker's side. within 60 minutes, clan war begins on both sides. Last edited by LineZeus.GR on Thu Dec 13, 2018 4:45 pm, edited 2 times in total. A very large amount of money has been invested today in advertisements on the following pages regarding the game. Zeus is coming back stronger than ever, and the number of the player base is expected to record and even surpass the first 2006 Zeus Server. The new server will be a masterpiece and will attract the attention of many players as it will be a unique Interlude a server that works with all the comforts of Ertheia. Does any of those names sound familiar to you? That's the 191 members visited our boards today with an 22,4% increase rate on the last 24hours! =Hephaestus= with his cocktail tells us that today we have reached the 275 active members and 664 visitors in the last 24 hours on our page. We slowly fill up, the forum today reaches 380 active users and 732 visitors in the last 24 hours, slowly moving towards the launch of BETA in about 11 days. Our community every day gets bigger and bigger, with just 9 days to endure for BETA! So Sunday today, we are only 1 week just before the start of the BETA server and the statistics on our page show that in the last 24 hours we had 455 active users and 898 visitors. The legendary server of 2006 comes back this winter, on December 28th with an old time classic vanilla taste of the game. Solid game features, attached on the first ever created server on a unique Interlude client and gameplay followed by complete Ertheia game interface. We would like to thank every and each one of you for registering to our forums but also for the trust and interest you show us by creating daily posts. Please stay tuned for more Giveaways! The day for our Beta Test is closing, only 3 days remaining for LineZeus.gr Open Beta Testing. Open Beta Test to be available for everyone. 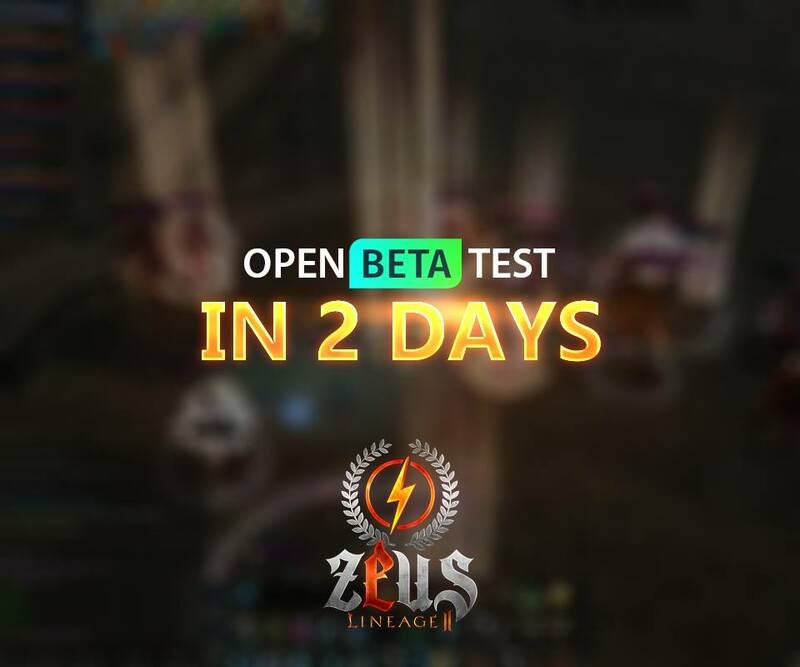 Only 1 day until LineZeus.gr Open Beta Test to be available for everyone. Finally, Open Beta Test is now online! Thank you for your support, this time you will play something admirable and we will try to keep everybody happy.